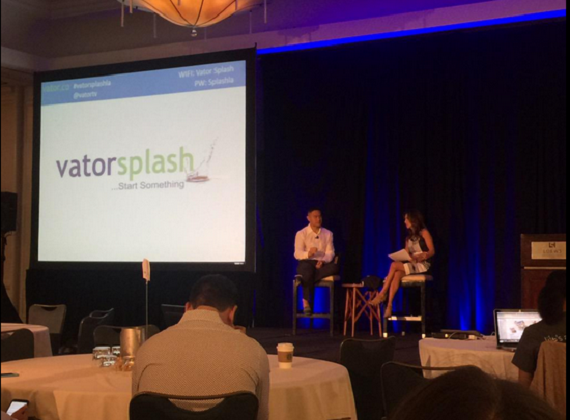 At Vator's annual Splash LA event on Thursday, Jeremy Liew, Partner at Lightspeed Venture Partners, sat down with Vator CEO Bambi Francisco to talk about trendspotting in the LA startup scene. 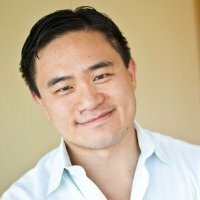 Liew is known for his investments in some of the top companies in the LA tech scene, like Snapchat and Whisper. Given his prescience for spotting these trends, Francisco asked him what are some of the current under the radar trends happening right now? "In this financing environment, nothing is out of favor," he responded. "When I was making some of investments in 2011 and 2012, there was still hangover from 2008, 2009. There was a long period where people were saying, 'I don't want to invest in anything.' I think we are in an environment where everything feels up for grabs, so I don't think that that's true anymore," Liew said. "The pendulum always seems to swing too far, you know, I think there's probably a little bit too much enthusiasm, where everything is possible right now. There's people who I think will end up tilting at windmills. That pendulum will swing back around. It's great time to be an entrepreneur right now. Because capital is available that means you can follow your dream, which is great." When asked about what sectors he felt were now overdone as a result of that swing, Liew used the opportunity to talk about what he sees as the main difference between investing in Los Angeles and in San Francisco and how investing has changed. "I have six investments in LA, and I only have one in San Fransisco. I think the reason is that it used to be that the technology early adopters, the digiterati, these kind of coastal elites, or west coast San Francisco elites, thought they could predict the future because they were living in a future that no one else saw yet. And you saw all these consumer startups in San Francisco, because they were building products for themselves," he explained. "Today where everybody has a smartphone, where everyone has wireless Internet, you don't have to start with early adopters. Now you can go directly to mass market with consumer products. And if you ask yourself which one city has their finger on the pulse of popular culture, better than any other city in America, it's probably LA. I think LA's a city that leads culture, create culture, mass market culture. I'm not talking symphony hall type stuff, I'm talking about things that ordinary people spend time doing. That's the legacy, that's the history of this city and I think that's why you're seeing so many interesting startups aimed at middle America, understanding where people want to be, coming out of LA." Companies like Whisper, Snapchat, The Honest Company, Dollar Shave Club, JustFab, Shoedazzle, are not "aimed at some elite, they're all aimed at mass market America because that's what this city knows so well." So if Liew loves LA so much, why doesn't he come live here? "My wife likes living in San Francisco, and I like living with my wife," he said. Thanks to our main sponsors Wilson Sonsini, KPMG, Javelin Venture Partners, Sky Media and our co-production partner, Bixel Exchange. Lightspeed Venture Partners is a technology-focused venture capital firm that manages $1.3 billion of capital commitments. We closed Lightspeed VII, a $480 million fund, at the end of 2005. Over the past two decades, our partners have invested in more than 120 companies, many of which have gone on to become leaders in their respective industries. Our team invests in the U.S. and internationally from offices in Menlo Park, China, India, and Israel. We are proud to have partnered with many exceptional management teams. Our investment professionals have contributed domain expertise and operational experience to help build high-growth, market-leading companies such as Blue Nile (NILE), Brocade (BRCD), Ciena (CIEN), DoubleClick (DCLK), Informatica (INFA), Kiva Software (acquired by AOL), Openwave (OPWV), Quantum Effect Devices (acquired by PMCS), Sirocco (acquired by SCMR), and Waveset (acquired by SUNW). Some of our recent exits include the top-performing tech IPO of 2006, Riverbed Technology (RVBD), and the top enterprise software acquisition of 2006, Virsa Systems (acquired by SAP).